Mok pa (steamed fish). 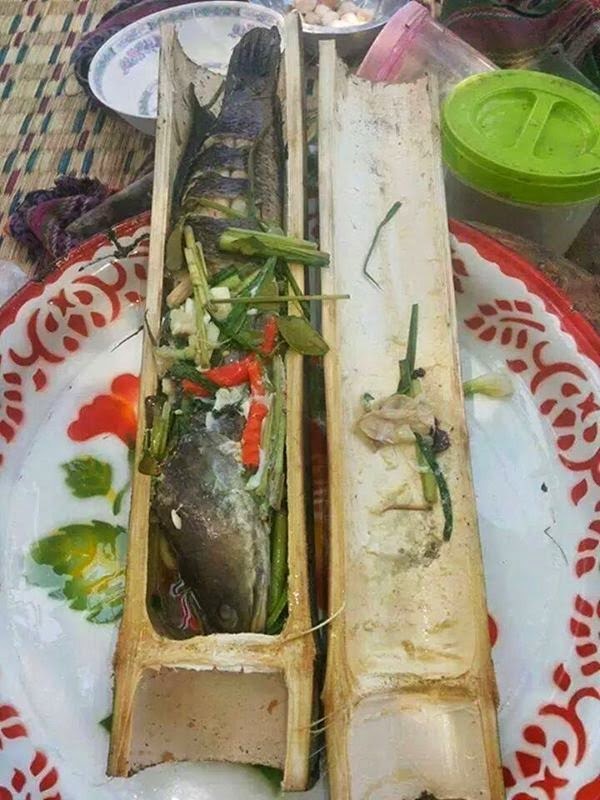 Whole fish with herbs in bamboo, plated and ready to eat. 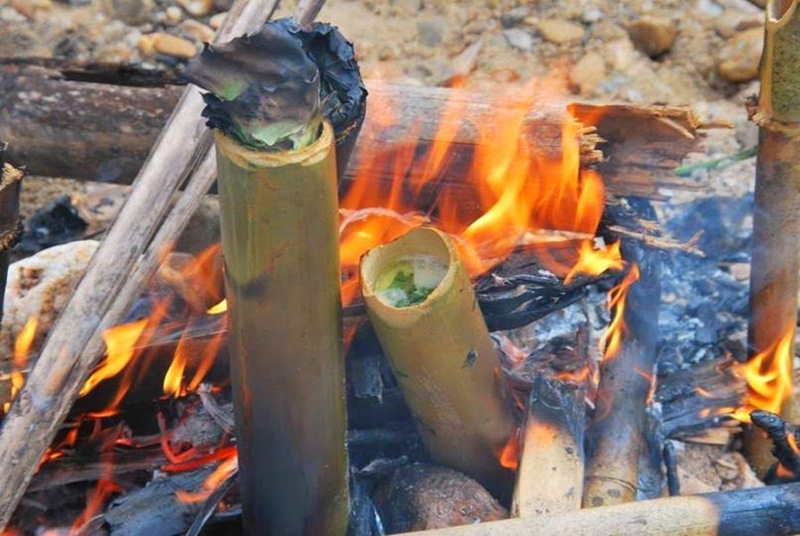 Mok pa (steamed fish) cooked in bamboo by the fire. Kow gum (purple rice) cooked in bamboo with coconut milk and sugar. Once cooked the outer layers are stripped away and the cooked rice is eaten. 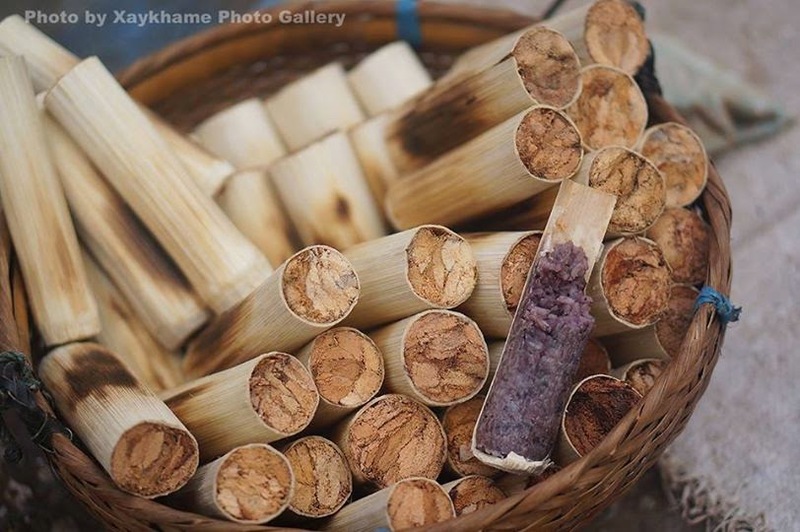 A very popular dessert snack in Laos. 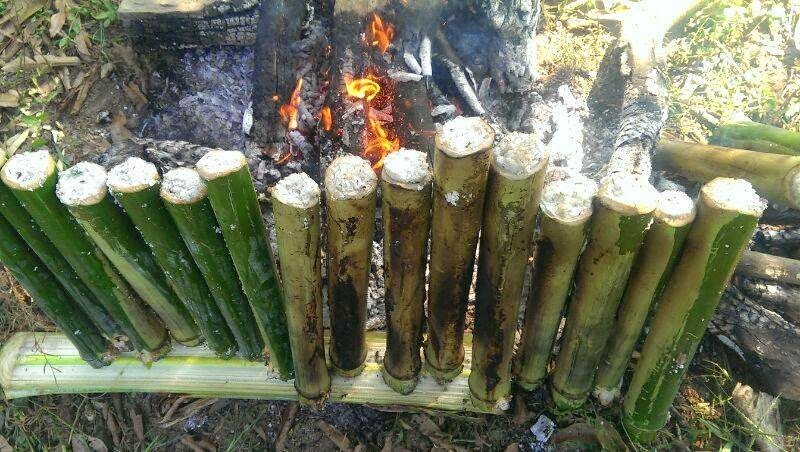 White rice being cooked in bamboo by the fire. Photo Credits: All Photos are borrowed from Glory of Laos (facebook page), unless otherwise indicated in the photo. Thank you for the compliment. Glad your enjoying our website!